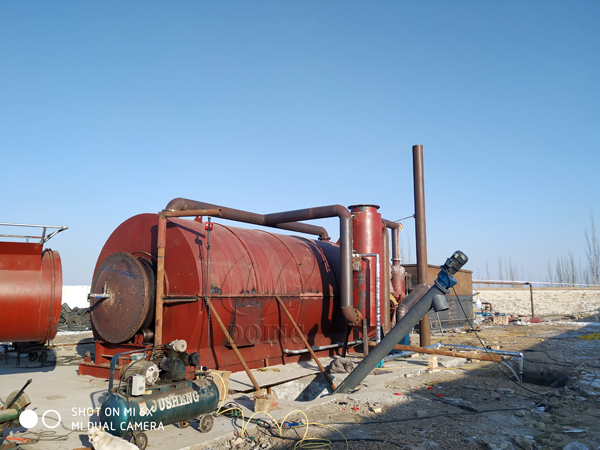 On January 11, 2019, good news came from Gansu, China — the installation of one set 10T/D waste tyre to oil pyrolysis plant was successfully completed. 3. 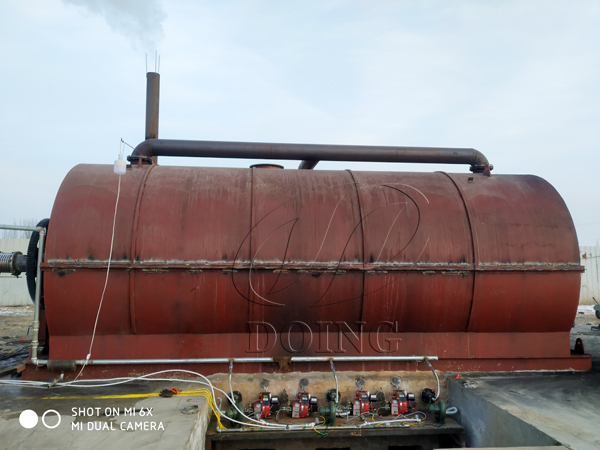 Our waste tyre to oil pyrolysis plant is made from Q245R furnace plates, not easy to break under high temperature. The thickness of the reactor reached to 16 mm, higher safety performance. 4. Our reactors are installed in the engineer's designed foundation, which can fully ensure the stability of the waste tyre to oil pyrolysis plant during operation. After thorough communication with us, he decided to buy one set 10T/D waste tyre to oil pyrolysis plant. He swiped several credit cards to pay the deposit and the rest of the machine cost still need to be borrowed. In this case, the customer resolutely invested in waste tyre to oil pyrolysis plant, fully indicating the customer's vision and determination. 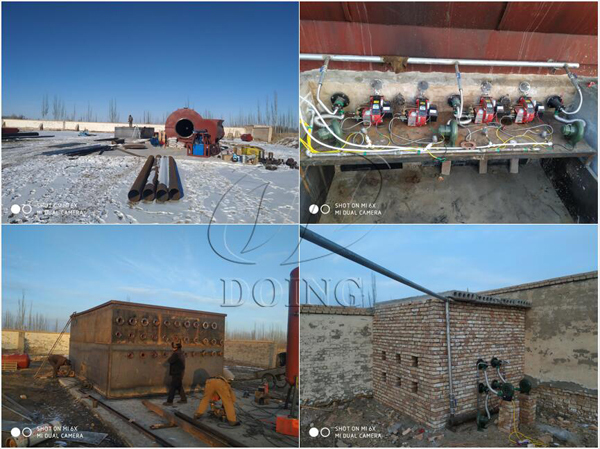 Now, the waste tyre to oil pyrolysis plant has been installed successfully in his factory and the machine runs smoothly. Every day, there are 4.5 ton fuel oil come out, which makes the customer very satisfied. The investment pays off. Congratulations to the customer!